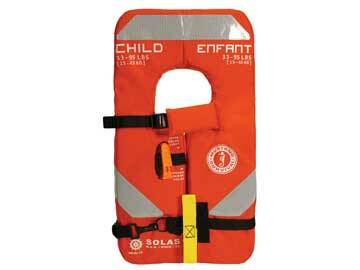 Ideal for vessels that carry large groups of children. 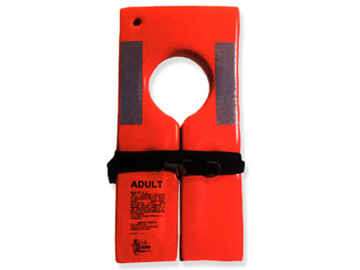 This device will mostly eliminate the need to own a supply of of children's life jackets in addition to the normal compliment of adult life vests. 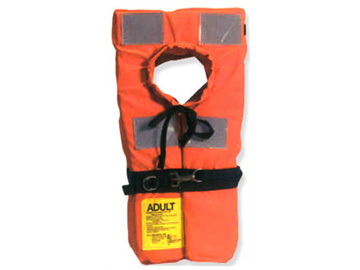 For persons 47" (1.20 m) tall, or weighing 45 lbs. (20 kg) (approximately 7 years old) and above. 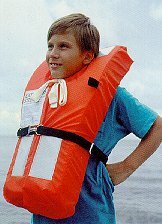 On other passenger boats, the use of LP-11 PFD's will reduce the required compliment of +10% children's life jackets to +5%. 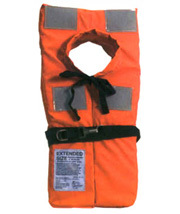 The LP-11 life vest is made for comfort with light weight polyethylene flotation foam and a nylon acrylic fabric cover. 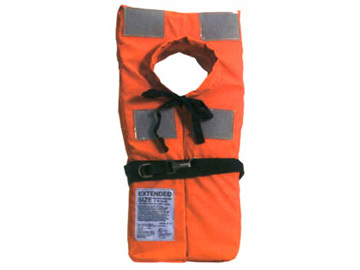 The neck hole is extra large and uses a cinch collar for safety and comfort. 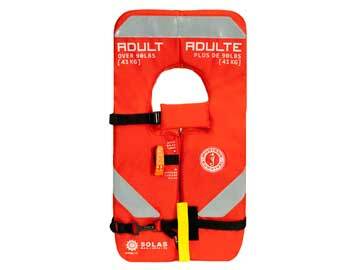 SOLAS grade retro reflective tape, and PFD light attachment loop are standard. Size (inches) 12" x 24" x 3.5"
Weight (lbs) over 45 lbs. 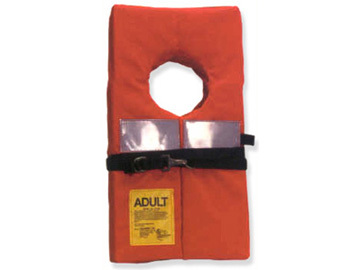 Chest Size (inches) up to 56"
The LP-11 Specification Sheet is a pdf file. If you are unable to open it you will need to download the latest FREE version of Adobe Acrobat Reader. The LP-11 Donning Instructions is a pdf file. 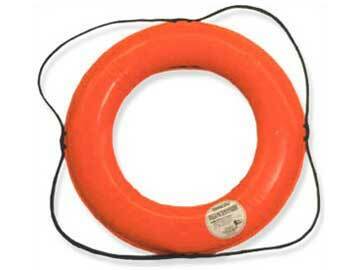 If you are unable to open it you will need to download the latest FREE version of Adobe Acrobat Reader.